After a failed attempt to reach Uruguay this past weekend, we unexpectedly spent a few days in Colón, Argentina. (Long story, don’t ask). While the weekend overall didn’t exactly go as planned, we definitely lucked out as far as the location in which we were briefly stranded. Colón is a charming historic town on the western shore of the Río Uruguay, with a mix of quaint shops, riverside restaurants and thriving nightlife. On our search for the bright side, we stumbled across El Sótano de los Quesos (The Cheese Cellar) with its sunny patio overlooking the river. After ordering up a lunch of delicious picadas, fresh bread and a refreshing fruity licuado, I scoped out el sótano. 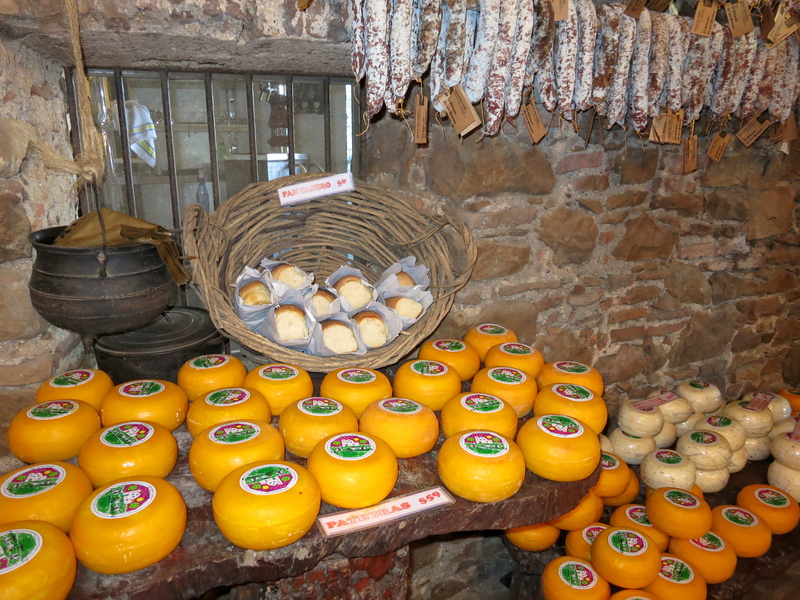 As soon as you duck into the stone cellar, you’re met with piles of fresh cheeses, salame, bondiola and bread. Shelves are lined with homemade flavored oils and marmalade, jars of preserved meats, fresh honey, and pickled veggies. One corner is dedicated to fresh milks, yogurt and ricotta. A small alcove in the back is stocked with homemade wines, craft brews and artisanal liqueurs. 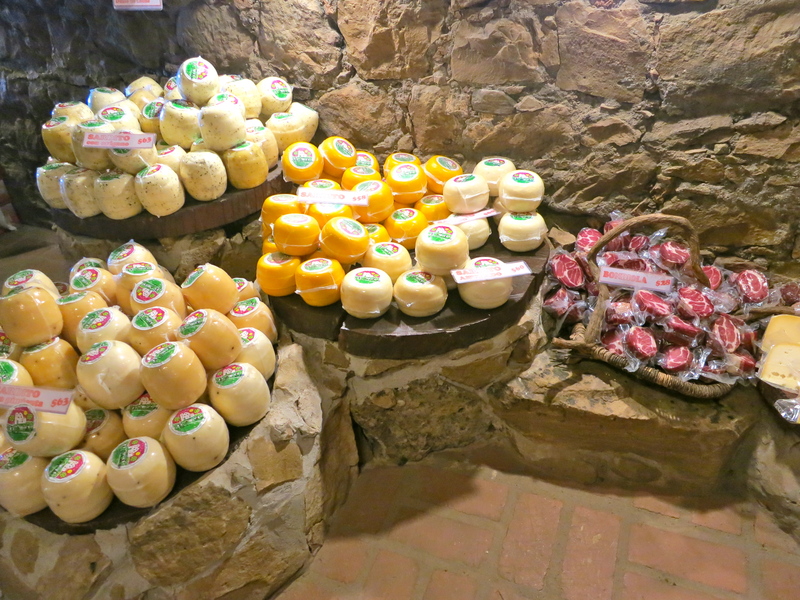 Pategras and provolone are available in abundance, with some mounds of provolone already seasoned with oregano and ready for the parilla, provoleta-style. 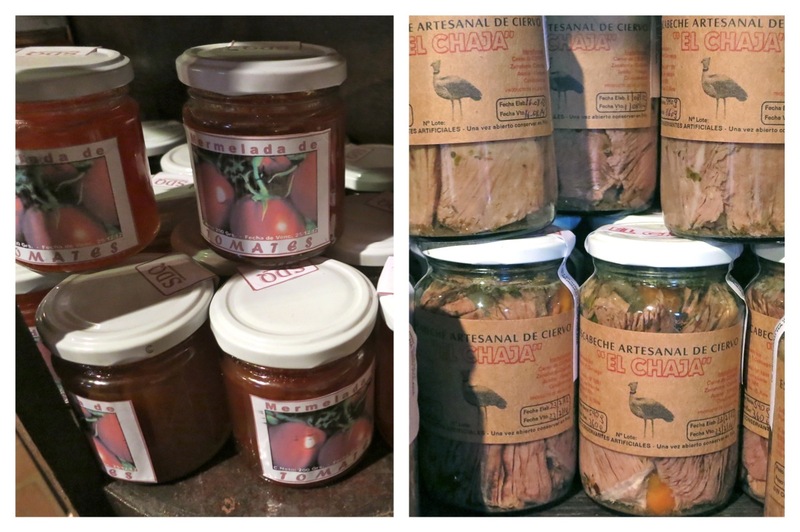 I was also delighted to find non-standard fare like mermelada de tomate (tomato jam) and pickled venison. 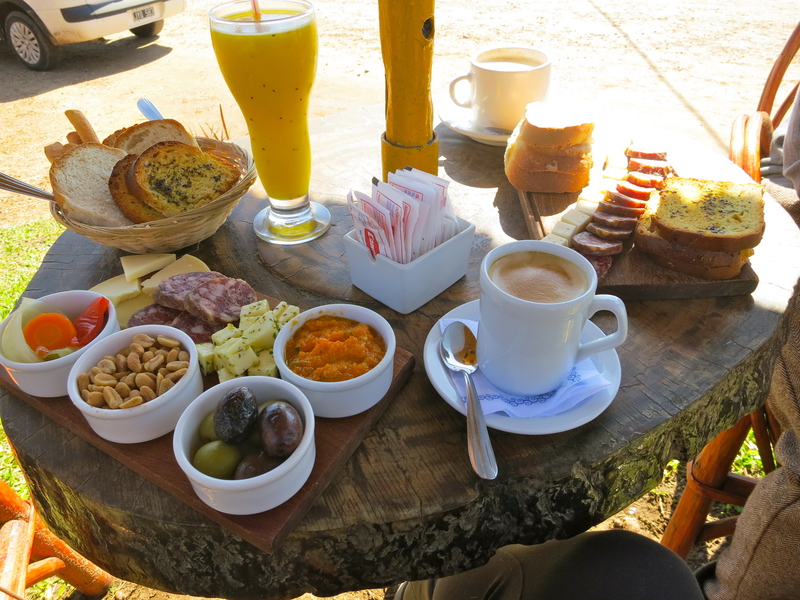 If you’re ever in Colón (hopefully by your own free will) it’s definitely worth spending a lazy afternoon by the river, and picking up some artisanal treats to take home.